A picturesque mountain countryside slowly comes into focus as a flock of seagulls fly about. 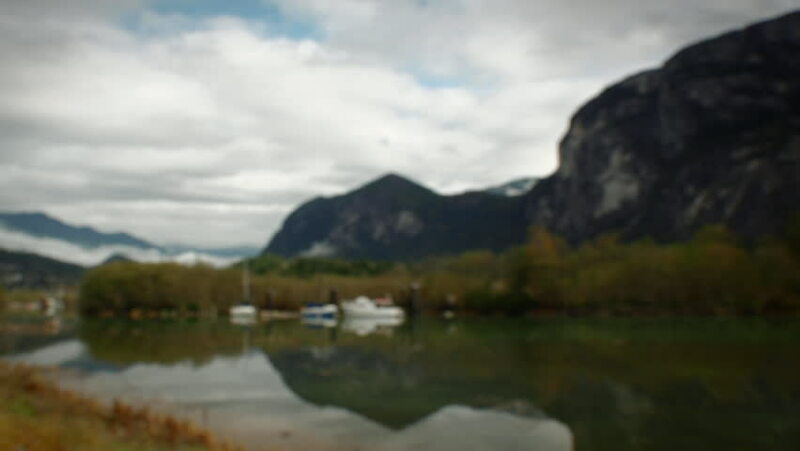 Stuwamus Chief Mountain and a few boats are reflected in the calm waters near Squamish, British Columbia. 4k00:17Timelapse Road path towards the little hill of reflection sunset rocky mountain. 4k00:23AERIAL: Flying over a pristine tropical rainforest and towards a distant crab farm hidden in remote location on sunny island. Awesome shot of untouched exotic greenery covering the tranquil landscape.